See what some of our happy clients have to say about working with us. Famed executive Lee Iacocca once said, “The speed of the boss is the speed of the team.” The same idea generally holds true for hiring people: The slower an organization’s onboarding process, the less likely it will attract and hire top talent. Though it may seem like an oxymoron, that’s true — it’s been heavily documented that slower approaches don’t normally improve the quality of hires. In fact, they almost always guarantee that you’ll be left to choose from a talent pool that’s mediocre at best. Prospective employees in high demand won’t twiddle their thumbs while you spend weeks checking references; they’re likely too busy evaluating rock-solid offers from a number of your competitors! But you can’t simply hit the accelerator and speed past the hiring processes you already have in place. It will take time to learn how to move more quickly when hiring. Start with these four suggestions to streamline hiring. They’ll help you not only identify the clogs in your hiring processes, but also ultimately help your organization make faster decisions and offers. How effective and efficient are your organization’s hiring processes? You don’t have to be a Six Sigma black belt to think lean and examine them for inefficiencies. If you don’t have a flowchart of your company’s hiring processes, make one that details every step. Track who is responsible for each phase of hiring, and collect data on how long each phase takes. Perform a thorough audit and determine which parts of the hiring process take the most time, upon which person’s desk resumes sit unexamined for days, and where scheduling next steps tends to fall apart. More importantly, question what the benefits of each step in the process are. Is a step is redundant? If it doesn’t offer much in the way value, could it be eliminated entirely? Could the desired outcome be reached in a different (read: more efficient) manner? And if your company does employ someone who’s Six-Sigma certified, call upon their expertise and invite them examine the company’s recruiting and hiring processes! Interviewing is the most time-consuming phase of many organizations’ hiring processes. Speed this stage up by limiting the number of candidates who make it to the interview step! Employ stricter screening tactics to ensure only the most qualified prospects end up in front of hiring managers and executives. Begin by the elimination process by asking, in the job description, that all applicants perform a specific task with an attached deadline. It needn’t be difficult; it could be something as easy as requiring them to call a receptionist to receive a job ID number to include on their cover letters and resumes. Any candidate who cannot follow the simple directive you give shouldn’t advance to the interview stage. You may be surprised by the quantity of applicants who fail to meet this prerequisite. Screening tests such as this will help decrease the number of candidates you interview. But because the market for talent is so competitive at present, you’ll speed up hiring if you are flexible and creative when it comes to scheduling initial interviews. Using Skype or other webcam tools will allow you to speak with candidates virtually. The recordings can also be preserved to share with important decision-makers within your organization should a candidate make it beyond the initial interview. Don’t limit interviews to standard business hours; quality candidates often have schedules booked weeks in advance. Offer to speak with them after hours or on weekends to better meet their needs. Another easy step to take to ensure quality while increasing speed to hire is to call candidates’ references earlier in the process. Waiting to contact references until you have a very short list of contenders (or one standout) could leave your organization waiting if a return call isn’t received for days or even weeks. You know a winner when you see one. Good candidates often cross through your office, but great ones…well, they’re rare, and you usually know just how great immediately upon meeting them. When you hire one, you’ll always remember. If you don’t, you’ll never forget. Don’t ever let a great candidate become another one that got away. Perhaps one of the most important ways you can speed up hiring without reducing quality is to establish processes to fast track the hiring of exceptional talent when you’re lucky enough to encounter it. Work with hiring managers in advance to develop an ASAP plan to onboard superstars in less than a week — or even aim to make them an offer on the same day! Traditionally, job seekers used informational interviews to learn about a potential employer, make a good impression, and perhaps sometime down the road, get a job there. Turn the tables and use informational interviews to speed up hiring. Identify talent through searches of professional social media sites like LinkedIn, or via employee referrals. Then invite these passive candidates who you feel would be a good fit for your organization to an informational interview. Use the interview to learn whether the person would pass your firm’s initial screening processes, let them know whether or not you like them for a current or future position, and add them to your pipeline. Keep in touch with strong candidates until you identify a position that’s a good fit for them — and then send them directly to the hiring manager. If you think taking three to four weeks or more to qualify and select candidates actually benefits your organization, it’s time for you to rethink your strategy! Visualize this instead: Every empty chair and every unfilled position represent a problem your organization needs you to solve. And all you need to do to fix that problem is fill the position — quickly! 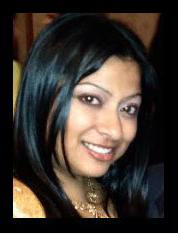 Deepa Unadkat is a forward-thinking HR Manager specializing in Talent Acquisition, Candidate On-boarding, HR policies and practices, and Benefits Administration. She is always on the lookout for the latest trends and ideas that can improve HR operations. Are you a human resources professional struggling to fill your organization’s technical positions? At ExpertHiring, we thoroughly screen candidates for the skills you need – so you don’t have to. We take the time to fully understand your requirements. We rank the desired skills and experience needed which allows us to provide candidates that precisely match what your hiring managers are looking for. All candidates are required to complete a Skills Matrix so we can compare skill levels and experience for the requirements needed to fill your positions. You’ll be able to tell at a quick glance if the candidates have the required skills. Many of our clients rely on the Skills Matrix to decide which candidates to interview. 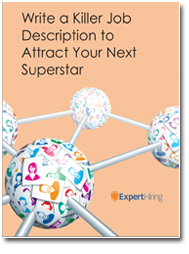 We've highlighted key elements that will help you more easily identify your next superstar. The link to download your book summary is on its way! Please check your email.